Every September downtown San Bernardino turns into classic car heaven for a few days. Since The Phi, PR Dad, and Sammy the Bull are all car enthusiasts we spent Saturday in the heat, admiring hundreds of cars. We had a lot of fun. Old school truck with awesome turning signals. A classic Woody ready for the beach. 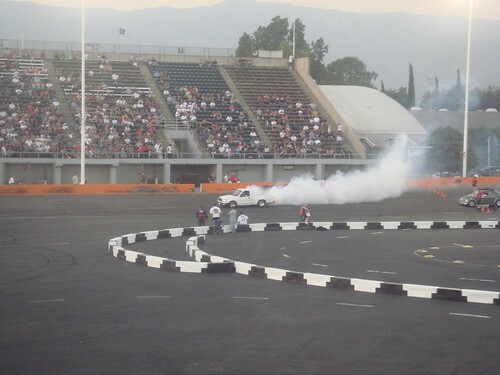 Yes it is a competition to see who can make the most smoke with their tires. Sam, PR Dad and The Phi enjoying the show!